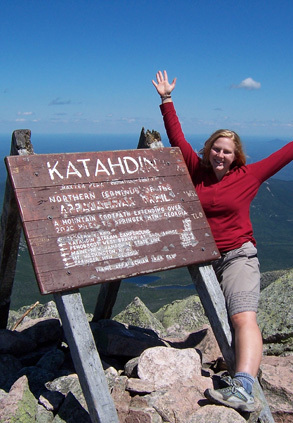 So, you want to thru-hike the Appalachian Trail? Sure Foot can help you plan and train for your hike. Jonah McDonald, President of Sure Foot Adventures, thru-hiked the AT in 2002 and uses his personal experience and plethora of contacts among the thru-hiking community to help you design and pull off a thru-hike or section-hike of the AT. Gear: There is so much gear out there and so many people who will tell you what you need. Sure Foot will help you define your personal backpacking gear philosophy and will then assist you in finding the best quality and prices. Sure Foot will also order and ship any gear you need while hiking. Training: Sure Foot provides a training system and plan to get yourself in physical shape for thru-hiking. This includes daily exercise plans and large list of hikes (including directions to trailheads) near you. Reading: Sure Foot will provide a thorough reading list, including trail narratives, thru-hiking guidebooks, books about ultralight backpacking, and wilderness safety. Budgeting: Sure Foot will help you develop a workable budget for your thru-hike and will guide you through organize your finances and “normal life” before you leave for your thru-hike. Food: This is the most complicated aspect of thru-hiking. Sure Foot provides full food planning services, recipes, and logistics support for mailing and/or purchasing food in stores. Sure Foot will act as your logistics support person while you are hiking, mailing food drops to the correct post office at the correct time. Trailhead Transportation: Sure Foot offers rides between Atlanta and Springer Mountain and will locate transportation to or from Mt. Katadin in Maine. Lodging in Towns: Sure Foot will help you indentify which Trail Towns will you stop in and where should you stay once in town. Accompaniment: If you choose, Sure Foot’s President and 2002 thru-hiker, Jonah McDonald, will hike the first day to week of your thru-hike with you. He will provide on-the-trail training and guidance, as well as cheerful company and storytelling. But watch out, you may even get a trail name from him! Telephone Support: Sure Foot provides 24-7 telephone support while you are out on your thru-hike. You are only a phone call away from expertise. Pricing: Please contact us below for our packages and prices.